Working method in cassation | Daamen, advocaten. Each lawyer handles cases in his own way. In cassation proceedings we work as follows. Are you considering or already running an appeal before the Supreme Court? Call or e-mail us for more information! During the procedure, we try to keep the client informed as much as possible. 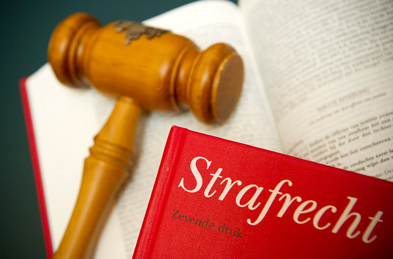 We determine the strategy in consulting with the client and the client receives a copy of each case file. Appeal in cassation: continue or (partially) withdraw? The client receives an advice on wether or not to continue the appeal in cassation as soon as possible. We can only provide a full advice if all the documents are available, but sometimes our client can’t wait for that, for instance because the client is pretrial detention or because the client needs a Certificate of Good Behaviour (VOG) (as soon as possible). It may also be good to limit the appeal, by withdrawing it partially. In this way, for example an acquittal of some of the charges can be secured. If the Supreme Court decides that the case should be judged again, the client can’t be convicted for that part. If it’s important to the client that the appeal is carried out quickly, our lawyers can try to expedite that the case file is sent to the Supreme Court. Unfortunately, our influence on this is limited. Once we receive the case file from the Supreme Court, we check if the case file is complete. Should this not be the case, we ask for a copy of the missing files. If the case file is complete, we check if the decision meets all the requirements. We do so by using an extensive checklist. We also check if the procedure took place in accordance with the relevant rules. The latter should be reflected in the official record of the trial. Beside the formal points which we automatically check by using our checklist, our check is also customized: no criminal case is the same! Based on the type of case and the defenses (exceptions) that were conducted prior to the cassation procedure, we investigate whether there’s a ground for cassation.